Blog What's the Best Fighting Style for MMA? This is one of the most debated topics when it comes to the ultimate MMA fighter. Many pundits will suggest that the best fighting style is a well-rounded fighter using all disciplines, however I tend to disagree. I personally believe that there is a specific formula needed to find the perfect MMA fighter that involves only a few disciplines. Not only are we going to discuss this in-depth, but we’re also going to show specific examples from active MMA fighters and their select disciplines in the UFC today. So what is the best style of fighting for MMA? Is it a stand-up style like Muay Thai or Boxing, or is it something that involves grappling like Wrestling or Brazilian Jiu Jitsu? There really isn’t a right or wrong answer when it comes to those select disciplines as they are all great and there have been successful championship fighters that specialize in each. How Many Different Fighting Styles are There? You might want to refer to our “Which Martial Art Should I Learn First” guide if you’re looking for a Martial Art to train for fun. There are many different styles and disciplines that professional MMA fighters train in, and for good reason. If we go back to the beginning UFC days, fighters like Royce Gracie completely dominated the sport because he was a master in Brazilian Jiu Jitsu. Stand-up MMA fighters had to adapt and learn this specific discipline so that they could stop getting submitted by BJJ specialists such as Royce. To sum it up in total, their are three major fighting styles that an MMA fighter will have to train in order to be successful in professional MMA. These three are absolutely necessary to become adequate at. No matter how proficient you are in BJJ, you can still get knocked out like Royce did if you don’t have proper striking. 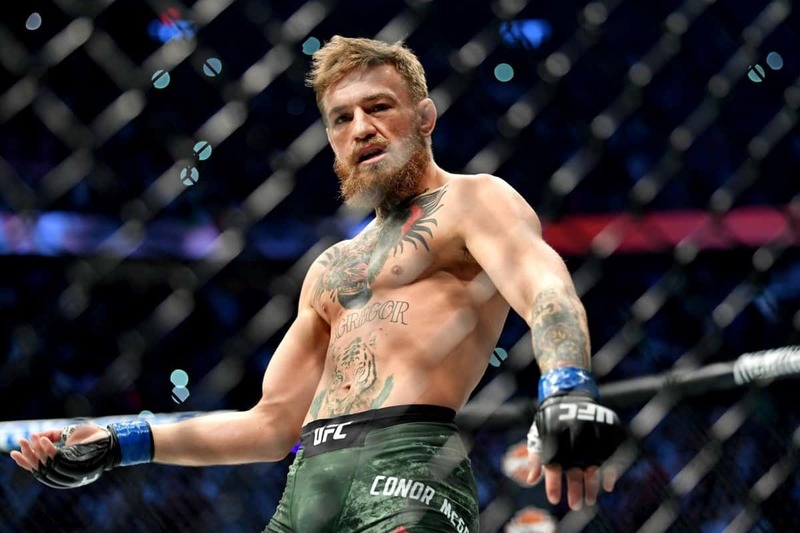 Same goes for fighters like Conor McGregor, no matter how good your boxing is, if you find someone like Nate Diaz with better stamina and Jiu Jitsu you’ll end up getting submitted. Having great Judo like Ronda Rousey will only get you so far, especially when you match up against someone like Holly Holm who has next level striking and takedown defense. Do you understand what I’m getting at? It’s great when you specialize in a specific discipline, however it will only get you so far. Boxing is an important Martial Art for MMA because it teaches fighters head movement and footwork technique. It’s also extremely effective in self-defense situations, as most fights start standing up. Boxing is a sport that has been celebrated by the masses throughout history. 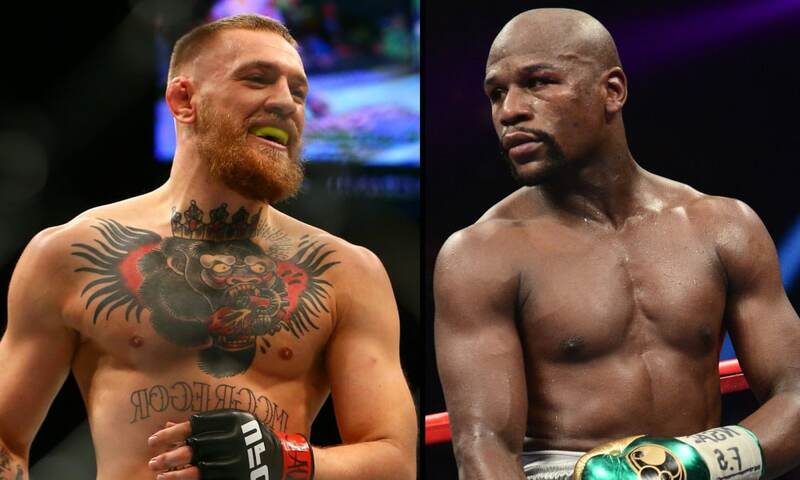 Fighters like Muhammed Ali and Floyd Mayweather have completely changed the sport of Boxing. If you want to become a better boxer check out our article: become a better boxer with practice. Who uses Boxing in MMA? Well, almost everybody uses Boxing in MMA because every fight starts standing up. When you think of professional MMA fighters with great Boxing, of course Conor McGregor’s name comes to mind. Conor is actually a fantastic boxer with a karate style stance. This is how you know MMA is special, a boxer with a karate style stance that has been able to win multiple UFC titles. Other great boxers in MMA include: Cody Garbrandt, Jorge Masvidal, and even BJJ practitioner Nate Diaz has great boxing. How Important is Boxing in MMA? Learning Boxing is very important in MMA. To put it in perspective, almost every MMA fighter has taken a Boxing class. It’s very common for BJJ competitors and college Wrestlers to start training Boxing while learning MMA because it will help them round out their game. It can be very difficult for wrestlers to transition their game to learning striking, while other fighters such as Champion Tj Dillashaw (who started his career as a wrestler) have done an amazing job learning Martial Arts such as Muay Thai. 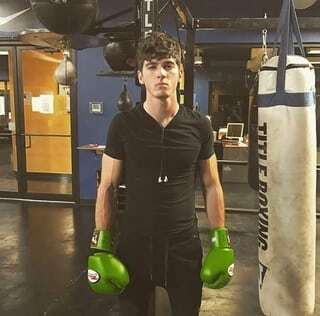 Is Boxing Right for Me? Boxing is something that almost everyone should try at some point in their lives. It’s not only a great workout, but it’s also great for self-defense as almost every single fighting situation starts standing up. If you’re hopeful of one day becoming a professional MMA fighter, then boxing is a necessary martial art to learn. Boxing helps with reaction time, footwork, and head movement. If you do decide to try out boxing, check out our article on the best boxing gloves for beginners! Muay Thai (Kickboxing) is one of the most popular Martial Arts of choice for professional MMA fighters. Muay Thai is a kickboxing style sport that started in Thailand. Believe it or not, children in Thailand start having Muay Thai fights at the young age of 5. Thai people celebrate Muay Thai in the same way Americans do Baseball. Muay Thai is the “Art of eight limbs”, which include, punches, elbows, kicks, and knees. Muay Thai also focuses on the clinch technique which is useful for many other martial arts such as judo and wrestling. 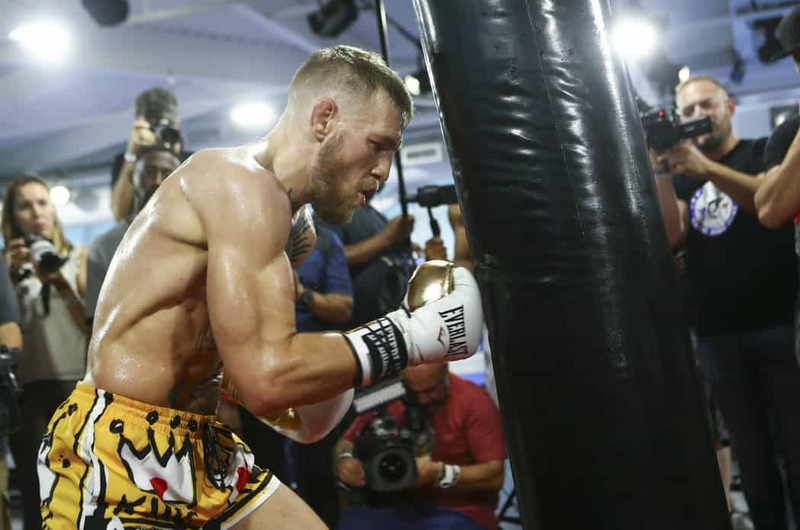 We have an entire article dedicated to the differences between Muay Thai and Boxing, check it out here: Muay Thai Vs. Boxing: Which style is more effective? Who uses Muay Thai in MMA? There are many professional MMA fighters that focus solely on Muay Thai techniques to help them win fights. Edson Barboza is a good example of a traditional Muay Thai fighter, however he has struggled with wrestlers recently (another reason why it’s important to have more than one discipline). Other fighters include practitioner TJ Dillashaw, he studies “Bang Muay Thai”, which is actually a hybrid form of Muay Thai created by Duane Ludwig and inspired by Bas Rutten. Max Holloway is another example of a Muay Thai style fighter, he is very successful in the UFC. How Important is Muay Thai in MMA? Muay Thai is extremely important in MMA. Almost every fighter has some sort of Muay Thai training because it’s so common and powerful in professional MMA. I highly recommend studying Muay Thai if you plan on one day becoming a professional MMA fighter. I would honestly say Muay Thai is the most important stand-up discipline you can train for MMA. Muay Thai isn’t for the faint of heart, back when I first started Muay Thai I was forced to kick a heavy bag until my leg swelled up (on the VERY FIRST day). After time, this pain eventually went away. I no longer feel pain in my shins when I kick heavy bags. Muay Thai is extremely high intensity training that involves conditioning of the shins and core. Is Muay Thai Right for Me? That depends on how important you value stand up fighting techniques. If you have dreams of one day competing in MMA, then Muay Thai is an excellent start. Muay Thai will teach you discipline that is needed to study any other martial art, and it will get you leaps ahead other fighters when it comes to stand up fighting. From a self-defense stand point, it’s good but not great. There aren’t too many defensive techniques in Muay Thai when compared to the footwear and weave techniques learned in Boxing. In Muay Thai, your offense IS your best defense. If you do decide to practice Muay Thai for yourself, I suggest checking out what to expect from your first Muay Thai class. Who uses Karate in MMA? The most successful MMA karate style fighter is Stephen “Wonderboy” Thompson. He has been able to translate his karate style of fighting in MMA successfully well. Another popular fighter with a “karate-style” stance who we discussed earlier is Conor McGregor. Although he doesn’t use many traditional karate style kicks (mostly focusing on boxing technique), he still imitates the wide stance of a traditional karate practitioner. How Important is Karate in MMA? Karate isn’t all that important in professional MMA today. Although, that isn’t saying many MMA fighters haven’t had success with a Karate background, it just isn’t as common as Muay Thai or Boxing. Karate is very similar to Taw Kwon Do in which both involve a variety of kicks, however most aren’t practical for MMA. The benefits of Karate is that it helps you gain balance and find peace within yourself, both useful for MMA fighting. Karate is much more popular among young children because of the availability of Karate classes around the world. Karate is seen as a non-contact Martial Art and is very appealing to parents with young children. That really depends on whether you’re looking for a traditional martial art, or something more focused towards fighting and MMA. Karate isn’t a martial art that translates very well to MMA, however there are fighters such as Stephen Thompson who have been an outlier in the UFC. Karate isn’t that great for self-defense, however it is great for controlling emotions. Wrestling is a combat sport involving takedowns, throws, holds, tilts, and pinning combinations. Wrestling involves a scoring system based on control of your opponent and is one of the oldest combat sports in recorded history. It’s well known that wrestlers have dominated MMA from the very beginning of time. Who uses Wrestling in MMA? Who doesn’t use wrestling in MMA? Seriously, if you can’t wrestle at all you’re gonna have a bad time. When you think of one of the best fighters of all time, Daniel Cormier’s name comes to mind. Daniel Cormier is one of the best wrestlers in MMA today. He has been able to use wrestling as a superior advantage throughout his long career in the UFC. Another great wrestler is Yoel Romero, who is a physical freak. Yoel has the ability to completely dominate someone on the ground, it’s absolutely terrifying to watch. Ultimately this list could go on and on all day, this just shows how important wrestling is in MMA, which brings us to our next point..
How Important is Wrestling in MMA? Takedowns and takedown defense is absolutely crucial to MMA, especially when it comes down to the score cards. A good grappler can absolutely take control of an entire match if they have a good set of takedowns and takedown defense. At the end of the day whoever has superior wrestling can ultimately decide where the fight takes place. Wrestling has a good argument for being the most important ingredient for making the perfect MMA fighter. The big downside to wrestling is that they are seen as boring MMA fighters. This doesn’t sell PPV’s and doesn’t have the same notoriety as fighters who use their superior striking. Also, if your primary weapon is the takedown you better be sure to have the ability to take your opponent down.. or you’re gonna have a bad time. Is Wrestling Right for Me? Wrestling is a great combat sport to get into at a very young age. The great thing about wrestling is that it’s usually accessible to anyone who goes to an American High School. Wrestling also has the ability to get you a college scholarship if you’re good enough. However, unless you’re an olympic superstar like Henry Cejudo, that’s about as far as you’ll go with wrestling. If you’re no longer in High School or if there isn’t a wrestling team at your High School, there are still many wrestling clubs to join. Wrestling is also offered at many MMA schools and is normally offered at BJJ schools as well. I highly recommend wrestling if you plan on becoming a professional MMA fighter. Judo was created as a physical, mental and moral pedagogy in Japan. It is generally categorized as a modern martial art which later evolved into a combat and Olympic sport. Its most prominent feature is its competitive element, where the objective is to either throw or takedown an opponent to the ground. Judo is most similar to wrestling, however wrestling is much more grappling oriented. Other popular martial arts like Jiu Jitsu actually originated from Judo. Judo is also included in Olympic sport so it’s very popular among all ages. Who uses Judo in MMA? Judo is similar to Karate in that there isn’t too many MMA fighters that specialize in this specific discipline. However when they do, things can get interesting. Ronda Rousey, who completely changed women’s MMA as we know it, is also a bronze medalist in Olympic Judo. Another MMA fighter that practices Judo is Fedor Emilianenko. He uses many Judo style throws and take downs during his fights to dominate his opponents. How Important is Judo in MMA? Let me put it this way, Judo won’t make or break you. Even Ronda Rousey eventually got figured out, Judo is a great thing to learn but it won’t get you to the UFC by itself. Judo is well supplemented alongside a striking Martial Art and BJJ. I personally have never trained Judo in my life and I don’t really plan on it, wrestling is good enough to get you by in MMA. Is Judo Right for Me? Just because Judo isn’t the best Martial Art for MMA, doesn’t mean it’s a useless art. It’s safe to say that Judo is one of the most physically demanding martial arts out there. Being constantly thrown around by your partner will make your body incredibly sore. Not to mention actually throwing around your partner is physically draining for the body. If you’re frail or don’t like contact sports then Judo most definitely isn’t the Martial Art for you. It’s a full body workout, but your core and grip will get the worst of it. Judo isn’t recommended for self-defense, although it may be useful in certain scenarios. Brazilian Jiu Jitsu is a ground based grappling technique that involves the use of joint locks and chokeholds. Brazilian Jiu Jitsu (BJJ) promotes the concept that a smaller, weaker person can successfully defend themselves or another against a bigger, stronger, heavier assailant by using proper technique and leverage. BJJ is an amazing martial art to learn in general because of the practical self-defense it provides. Brazilian Jiu Jitsu will also teach you some amazing life lessons. Who uses Brazilian Jiu Jitsu in MMA? BJJ started to become more popular with prominence of master Royce Gracie and his use of BJJ to put on dominating performances in the UFC. Demian Maia is one of the best BJJ practitioners that was able to translate his BJJ dominance into the UFC as well. A newer BJJ practitioner that has a great guillotine and triangle choke is Brian “T-City” Ortega. Brian Ortega has decent striking, but it’s his high level Jiu Jitsu that sets him well above the competition. How Important is Brazilian Jiu Jitsu in MMA? Although you don’t have to be a black belt to be successful in MMA. A high level of Brazilian Jiu Jitsu is almost needed in this day and age of MMA to be successful. There are so many BJJ experts in the UFC today that it’s nearly impossible to get by with no BJJ training.If you do plan on joining a Brazilian Jiu Jitsu gym make sure you’re prepared, check out our article on the best BJJ Gi’s for beginners. Is Brazilian Jiu Jitsu Right for Me? That depends on how much you value grappling and ground techniques. Brazilian Jiu Jitsu is very popular for self-defense, as the average blue belt can submit 99% of the population. If you have dreams of becoming an MMA fighter then BJJ is a must have in your arsenal. Almost every fighter that competes in MMA has some form of BJJ training. There are many defensive techniques that are taught in Brazilian Jiu Jitsu and that are very useful for a real-life situation. You don’t always have to join a Brazilian Jiu Jitsu gym to get better in Jiu Jitsu, you can always try training at home. So, what is the Best Martial Art for MMA? The best Martial Art for MMA is a combination of the fighting styles we talked about above. After all, it’s called “Mixed Martial Arts” for a reason. MMA is a mix of all Martial Arts that were created worldwide. It’s the only sport that involves different cultures and different backgrounds, which is why MMA is so special. It’s important to remember the best Martial Art for you and the best Martial Art for MMA won’t always necessarily be the same. Depending on your background and culture, your body type and athletic build, and even your genetics all play a factor into deciding which fighting style is best for you. The best MMA fighter isn’t just made from their specific discipline. A good majority of it has to do with their natural ability, their obsession for the arts, and their heart and dedication to MMA. No matter the martial art you choose on this list, give everyday 100% of your heart and effort. Always respect your instructors who pass down their knowledge onto you. Respect your fellow students as well, who at the end of the day are trying their best to learn the martial arts. I wish you luck on your martial arts journey, may it be filled with excellence.